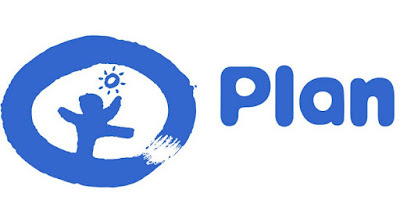 Plan International Indonesia (YPII) is a national entity affiliated with Plan International Indonesia, that has been working since 1969 in Indonesia to advance the fulfilment of child’s rights and welfare of communities. Aligning with Plan International Global Ambition to reach 100 million girls, YPII is currently implementing the 5-year Country Strategy 4 (CS4) to reach 1 million girls in Indonesia in key programs of LEARN (skill and opportunity for youth economic empowerment), LEAD (participation and leadership of girls and youth), DECIDE (adolescence sexual and reproductive health and rights) and THRIVE (care and protection for children and young people), in the context of development and humanitarian settings. YPIII works with national and local NGOs and government partners to implement projects, advocacy and campaign to ensure that equality for girls is at the centre of attention from community and government. Currently, together with other CSOs as co-applicants Yayasan Plan International Indonesia is implementing three projects funded by the European Union The post will be responsible to supervise the day-to-day management of these projects by closely coordinating the Project Managers, National Program Managers and other co-applicants. As the key account for the lead-applicants Plan International Finland and Plan International Germany the post is responsible for close communication as well as preparing the contractual reporting and ensuring projects compliance with Plan International and EU guideline for project implementation. The post will be reporting to the Program Director. Typical Responsibilities , This role functions as a hinge between the YPII project implementation team and the lead-applicants, Plan Germany and Plan Finland, who are accountable to the EU for the contractual implementation. Therefore the role has two dimensions of communication: Within YPII the position will directly supervise 3 Project Managers, coordinate with National Project Managers, technical advisors and finance staff on inputs to the quality of project deliverables. Continuous coordination with co-applicants of the EU contracts, e..g. for reporting, MoA compliance, coordination of implementation, donor regulations Responsible to keep project managers and other co-applicants informed of any relevant changes/developments communicated by the lead-applicants and the EUD Responsible for overseeing annual project budget plan/Detailed Implementation Plan and expenditure, in coordination with grant accountant/finance administration and the program team to ensure timely financial reporting as well as overseeing possible budget modifications in line with the donor regulations Works with Operations, Communications, Monitoring, Evaluation, Research and Knowledge Management (ME and RKM) teams for smooth implementation of projects and ensuring strong monitoring and learning for project sustainability as well as communication and visibility. Represents Plan Indonesia in project-related meeting and regional events (e.g. Switch Asia Network Meeting. Reports to the Program Director of Plan International Indonesia Donor compliance and reporting Close and continuous regular communication with lead-applicants Plan Germany and Plan Finland to ensure timely and accurate response to contractual obligations and queries from the EU delegation is ensured. This includes financial and narrative reporting, modification requests, communication & visibility and follow up of projects visits through the EUD and the lead-applicants. Liaises closely with Program Advocacy, Grants Managers, and Business Development team to ensure quality reporting in line with donor rules & regulations.